Oh My God!!! What a Prophetic Dream!!!! 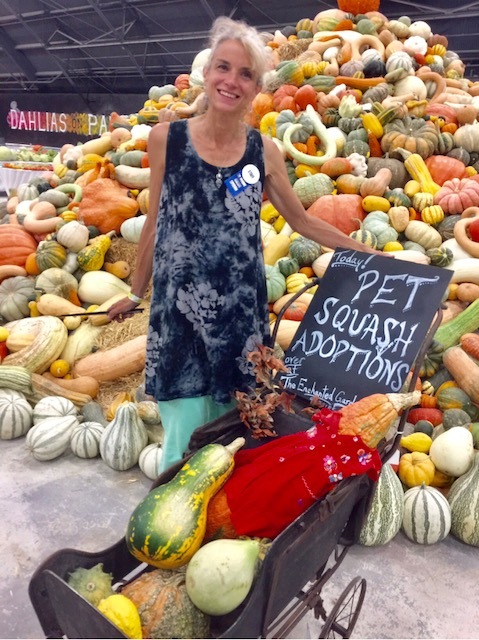 Adrienne Prince brought the concept of #PetCelebritySquash & #PlantParenthoodGourd Adoptions alive at The National Heirloom Exposition 2017. With smoky skies in NorCal as I write this, I am proclaiming a “Cease-Fire!” as more and more of us come home to a personally honoring relationship with Mother Earth. Adopting your very own Pet Celebrity Squash is one way to kindle a healthy love for the indigenous stories of the squashes and gourds of the world. At last year’s Heirloom Expo, we had a booth where school kids could meet the squashes, and adopt their favorite to take home with them. More than 1800 seed varieties have been collected by Jere Gettle who began the Baker Creek Heirloom Seed Company collection when he was 17 years old, 18 years ago. In our first year of adoptions, we raised more than $1500.00 for the School Garden Project. Hundreds of kids were bussed in from local schools. The adoptions were a big hit with the kids! Parents loved it too. They would make donations toward keeping the school bus trips happening. I just had a prophetic dream! I rise up into a state of ecstasy. I was in a march. It reminded me of the slaves leaving Egypt 1000’s of years ago. It had something to do with heirloom seeds and the dream released a bunch of energy toward traveling to the 2018 @The 8th National Heirloom Expo in San Rosa, CA. September 11,12,13, 2018. I’m scheduled to do the Opening Ceremony 9:30 am, Tuesday, Sept 11. The dream replaced fear with a sense of purpose. 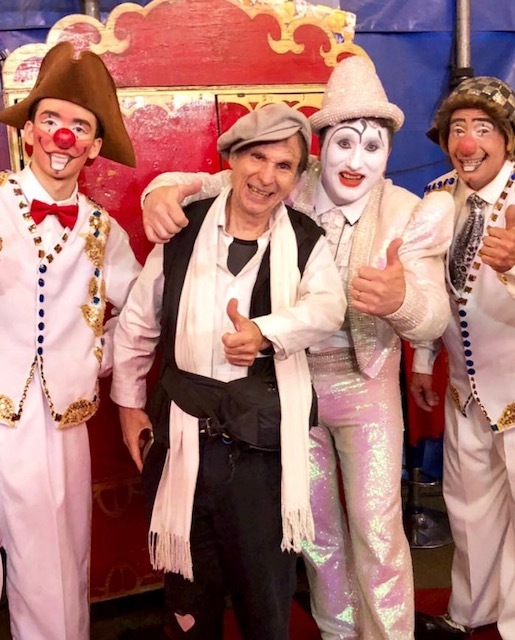 The dream reminded me that I would see again my Circus Vargas friends shine in NorCal. The dream showed me that the #Pet Celebrity Squash & #Plant parenthood gourd Adootions would be more abundant than in 2017, when we raised more than $1500 toward school gardens sd busing kids into the three day event. The dream indicated I needed to go swimming with Adrienne and enjoy ourselves, every moment. We needed to help popularize and explain the importance of preserving our national and international heirloom seed heritage!!!! I wasn't To stress, just enjoy our old and new friends. This was an expression of giving others the opportunity to come into peace with nature. Props to our Campaign Sponsors for helping me bring Organic & Non GMO products into the land of snow cones and cotton candy! Props to sponsors of my project Organic Day at Circus Vargas. Thanks to J R Organics CSA Farm for sampling their locally grown wild and untamed produce, http://www.jrorganicsfarm.com/farmers-markets/ ; To Eden Foods for samples of their organic, non GMO popcorn, https://www.edenfoods.com/store/ ; To Baker Creek Heirloom Seed Company & The 8th annual National Heirloom Exposition, Santa Rosa, CA Sept 11-12-13, #HeirloomExpo, for helping to preserve and keep alive our original seed heritage; http://theheirloomexpo.com ; And to Circus Vargas for keeping the traditions of Circus well and happy under the Big Top.